Have students try these activities to expand their knowledge and interest in pioneers. Using the comic strip in On the Trail as a sample, have students select one aspect of pioneer life as a basis for a comic strip of their own. Topics may include packing the wagon, life on the trail, claiming land, building a sod house, surviving a dust storm, or daily chores for a man, woman, or child. Students should use information from the issue along with other information they have researched to create an accurate portrayal of the situation. Have students pretend they are taking a trip on a Conestoga wagon during one of the great waves westward. 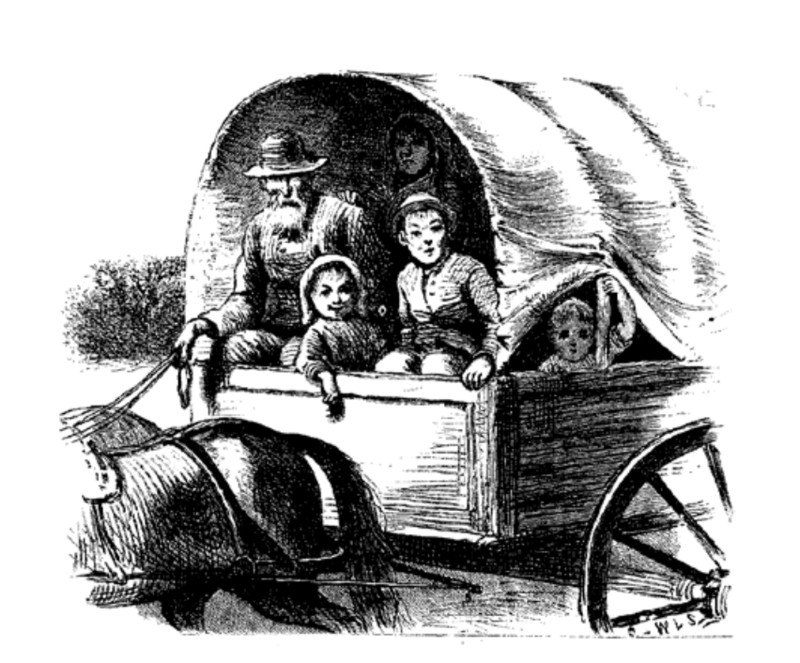 Students should write diary entries for five days of their trip from the viewpoint of a child, woman, or man on the wagon train. Students should try to make their entries as authentic as possible, including sites they’ve seen, conditions in the wagon, the weather, items they brought along, trouble with the animals, family members, other families on the wagon train, and so on. Many important events took place in the 19th century, the century during which the pioneers went westward. Have students work alone and research five events they feel were most important in the United States during that time. The events could have taken place in politics, science, the arts, or any other field. Students should write a short paragraph for each event telling why they feel it is important. Have students share the events they chose and put them in time line order. Encourage students to look for relationships among the events. Give each student a blank map of the United States with the states outline. Assign each student the names of two or three states to locate on the map and research when the state joined the United States. Have students share what they researched so all students can identify each state and date on their own maps. Students should then write a short paper telling which dates surprised them, and why.